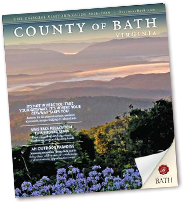 Expect exquisite cuisine and great service at the most upscale restaurants in the County of Bath. In many cases, the talented chefs take pride in using locally grown products whenever possible. 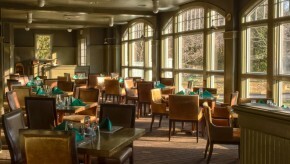 Jefferson’s Restaurant and Bar is a casual, yet elegant setting and the latest addition to The Omni Homestead’s dining options. A modern American grill with regional influences, Jefferson’s takes a farm-to-table approach with a hand-picked selection of prime and regional meats. Jefferson’s serves lunch and dinner with creative small plates and lighter fare. Choose from dining indoors in a setting wrapped in a rich wood paneling with high-tech, wide-screen televisions or join us on the outdoor terrace, overlooking the Casino Lawn. Advance reservations for dinner are strongly recommended. 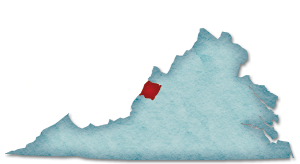 Please call us at 540-839-1766 to confirm operating hours. Welcome to Les Cochons d’Or (pronounced Lay Co-Shawn Door)aka The Golden Pigs or just LCdO for short; an intimate, casual restaurant located in the quaint downtown village of Hot Springs. 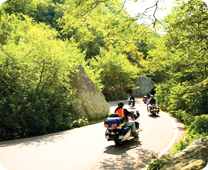 LCdO offers inspired rustic American dining with a French twist. We use quality ingredients and a simple philosophy fostered by a group of people passionate about food, wine and personalized service. Savor fresh local ingredients elegantly prepared using our wood burning grill. We are a small restaurant with an urban feel in a relaxed country setting. We offer a full bar. Name your poison or your passion and whether it be wine, beer or cocktails, or . . . let us create the special drink for you. Visit Rubino’s at the Cascades and enjoy a casual lunch dining atmosphere. Whether you have just finished a round of golf, are coming down from an exhilarating hike or just enjoying your day at The Omni Homestead, Rubino’s is the perfect place to relax with delicious sandwiches, refreshing salads and scrumptious desserts. Rubino’s is open daily for lunch April through October. Rubino’s also does private evening parties. Reservations are required. Snead’s 1912 Steak is our modern interpretation on a classic steakhouse. The steakhouse menu is available throughout the entire restaurant, however, around the bar and in the upstairs lounge area our guests will also be offered a few casual menu items. Upstairs, and at the downstairs bar, we are not able to perform the table-side preparations that guests can enjoy in the other dining areas. Reservations are taken throughout the entire restaurant except for the downstairs and upstairs bar seats and the deck seats. Those seats are on a first come, first served, basis. Reservations are always recommended. For parties of 6 or more a credit card is required to confirm your reservation, and a 24-hour cancellation policy is in effect. There is a $25 per person charge for no shows or cancellations without providing a 24-hour’s notice. For more than a century, The Omni Homestead’s guests and County of Bath locals have relished in the wonder of The Main Dining Room. 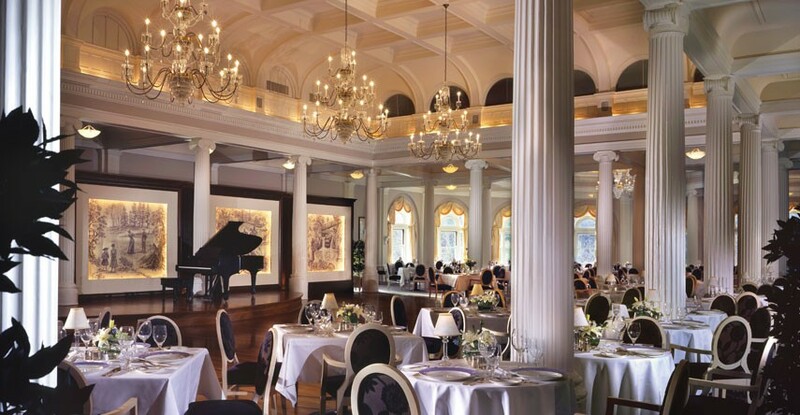 Adorned with columns and a rotunda with Palladian windows, the atmosphere is magical, providing a space for a great dining experience. 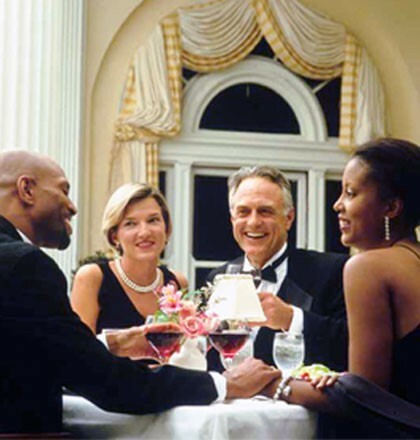 The international wine list is award winning, the entrees are prepared to perfection and the nightly tradition of dancing and live music brings guests from all over to come back for more. 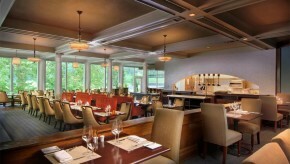 Each morning, enjoy a perfectly delectable breakfast including The Omni Homestead’s famous glazed and cinnamon donuts. Dress is resort casual for breakfast and jacket required for dinner. No jeans permitted and a tie suggested for men twelve and older. The Main Dining Room is open for breakfast and dinner daily. Reservations required. 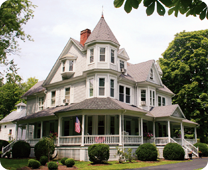 Our historic Tavern, welcomes Bath County locals and travelers alike to enjoy hearty, dinners in the traditional Vir­ginia style. 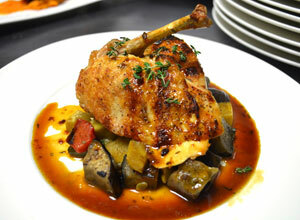 Our cuisine is inspired by our chef’s European roots. Our historic setting in the first Bath County Courthouse create an authentic dining at­mosphere at any time. Our Pub, located in the former clerk’s office leading on to our cozy porch seating, features a full menu and casual pub atmosphere. Join us in the Pub for a pre-dinner cocktail, to enjoy a few pints with your friends, or for a nightcap before a comfortable stay in one of our guest rooms. Open year-round every night for dinner. 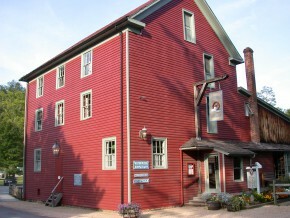 The Waterwheel Restaurant at The Inn at Gristmill Square is a Virginia Historic Landmark. 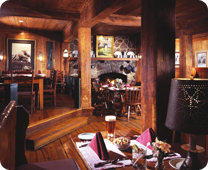 The Waterwheel Restaurant serves traditional American foods in an elegantly rustic setting amidst the gears and inner-workings of the old mill. A trip to the restaurant isn’t complete without a visit to the world-class wine cellar offering a vast collection of fine wine from around the globe. 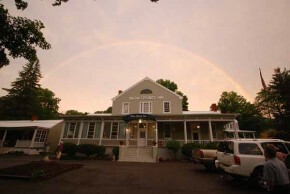 Or, have a pint in the Simon Kenton Pub popularly dubbed, “the best four seats in Bath County.” The Waterwheel Restaurant remains a charming destination for visitors to Bath County. Reservations are suggested, call for hours of operations.